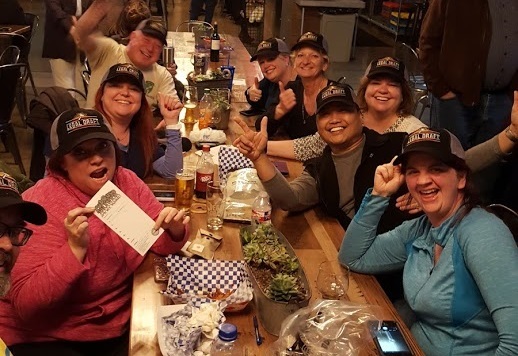 Thanks to everyone who came out to our all sports themed trivia at the best brewery in town, Legal Draft. Huge thanks to the Arlington public library for donating the awesome prizes for our first and second place teams. Speaking of winners congrats is in order for our second place team The Crazy 88 and our first place team William Shatnerface! Thank you for the rest of the teams for showing up and giving it your all for a clsoe game. Keep an eye on our website and social media because we will be back at Legal Draft very soon with an awesome new Trivia night!